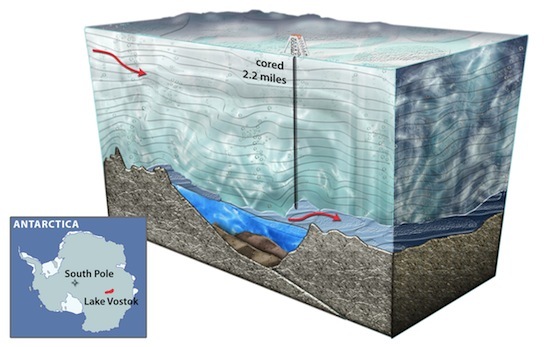 Pure Water Gazette » Lake Vostok,Will It Be One of the Great Advances in Knowledge of Our Age? 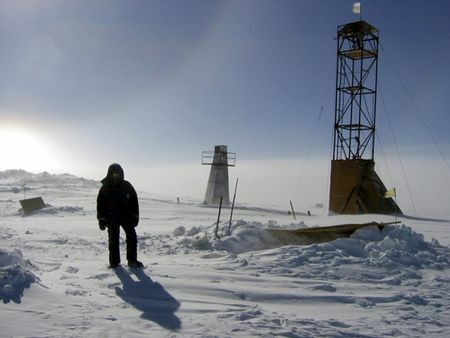 Lake Vostok,Will It Be One of the Great Advances in Knowledge of Our Age? It is the first time one of Antarctica’s subglacial lakes was penetrated. On February 5, 2012, Russian scientists confirmed that they successfully drilled into Lake Vostok, a subglacial lake that has spent the last several million years isolated from Earth’s surface by a thick slab of ice. And it really is thick! — drilling down to the lake has taken 20 years of work. But the team has finally hit water, and the water could contain clues to (among other things) the mechanics of climate change. It’s possible the lake contains new life forms, maybe bacteria. It’s also possible — and the initial samples seem to support this hypothesis — that it’s totally sterile, the only place on Earth with water but no life. Both options have the potential to help scientists understand more about life on Earth, and how it does or doesn’t survive in extreme conditions. The untouched water in the lake will also allow researchers to compare ancient and current water, looking for changes that might help illuminate global warming and sea level rise. Antarctica holds 70% of the planet’s fresh water as ice and subglacial liquid. Understanding whether and how it is changing is key to understanding possible future rises in global sea levels. If Lake Vostok turns out to be sterile, that will make it the only place on Earth where there is water but no life. Russian scientists breached Lake Vostok in the Antarctic .